Choosing tile can quickly throw a bathroom budget out of control. Instead of choosing all designer tiles, mix some lower-cost tile with accent tiles that might be more expensive, especially if you plan to use tile on your floor and walls. Think again before including a walled-off toilet area. You’ll spend money to build the walls and a door to create privacy that you might not necessarily need. Screening walls or tucking a toilet into another area of the bathroom is a cheaper alternative for privacy. Dual-flush toilets are both environmentally and budget-friendly. Although they’re a bit more expensive upfront, these toilets offer two levels of flushing (liquid and solid), so you’re using less water, which will save you money in the long run. Rather than enclosing your shower or tub in glass or tile, pick something that’s more standard, such as a prefabricated enclosure unit. If you’re going to include both in your master bathroom, there’s no reason why both need to be top-of-the-line. 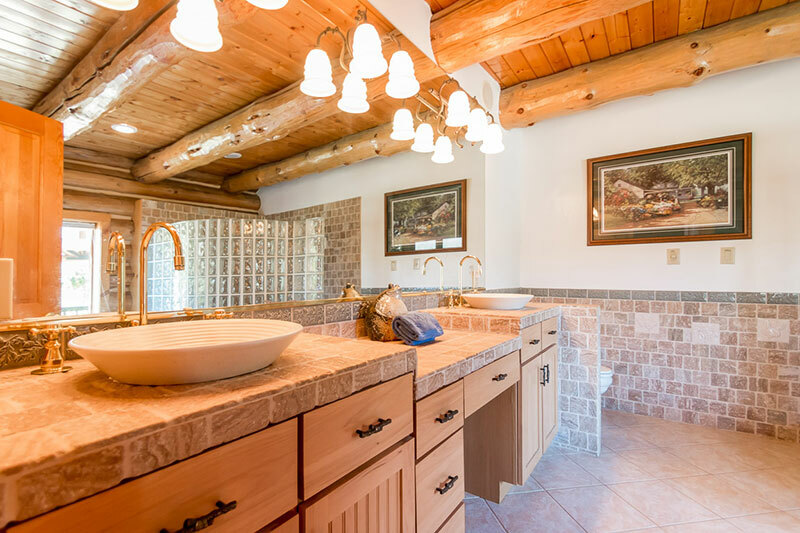 Consider going with a single sink instead of his and hers. Think about it: Homeowners often want double sinks, but maybe only use them a small percentage of the time. Think about your personal schedules and see how often you’d really need both sinks.